Size 11.5" x 3.7" x 2.8"
Suggested Stand A suitable display stand comes free with this specimen. Here's an excellent specimen, a shining cluster of ELESTIAL SMOKY QUARTZ crystals from the Lapa da Onça claim, Araçuaí, Jequitinhonha Valley, Minas Gerais, Brazil. 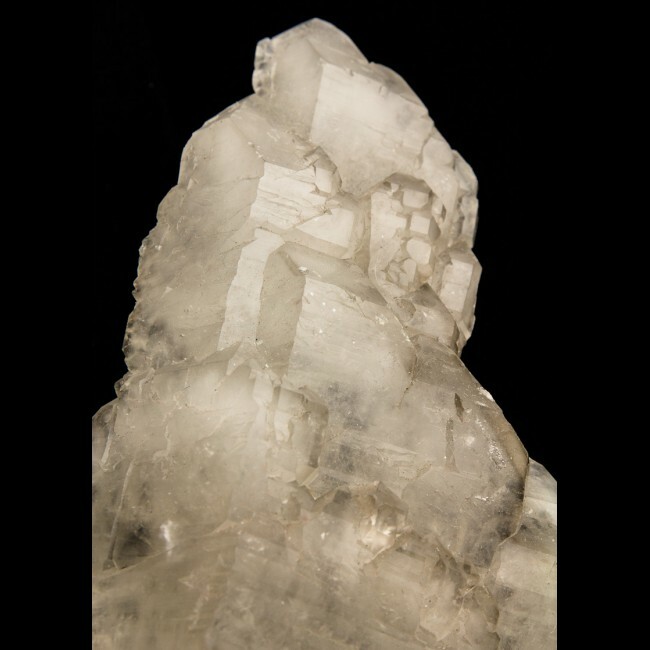 Each crystal is brilliantly reflective, showing off the mirror-bright parallel faces of the elestial formation. Brazilian miners give this the name jacaré because it looks like the shiny bumps on the back of an alligator just below the surface of the water (the Portuguese word for alligator is jacaré.) 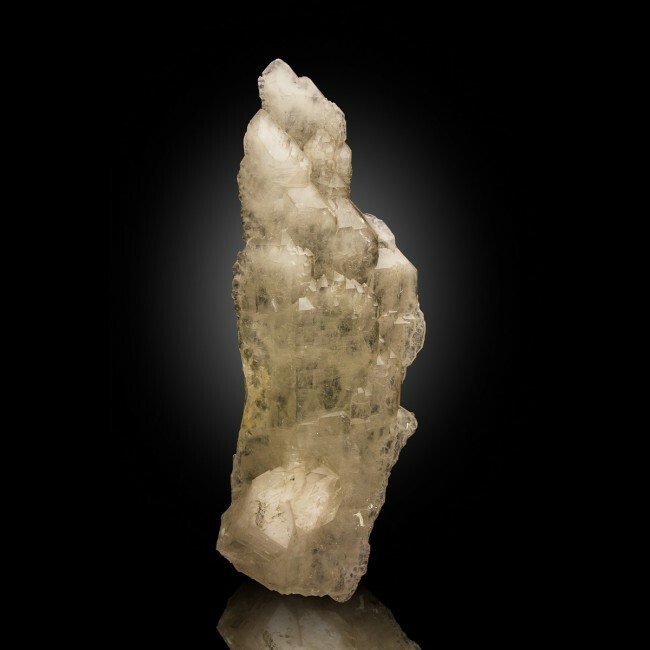 We purchased this specimen at the Tucson Gem Rock and Mineral Show from the stock of one of the Brazilian wholesale dealers who was set up there. 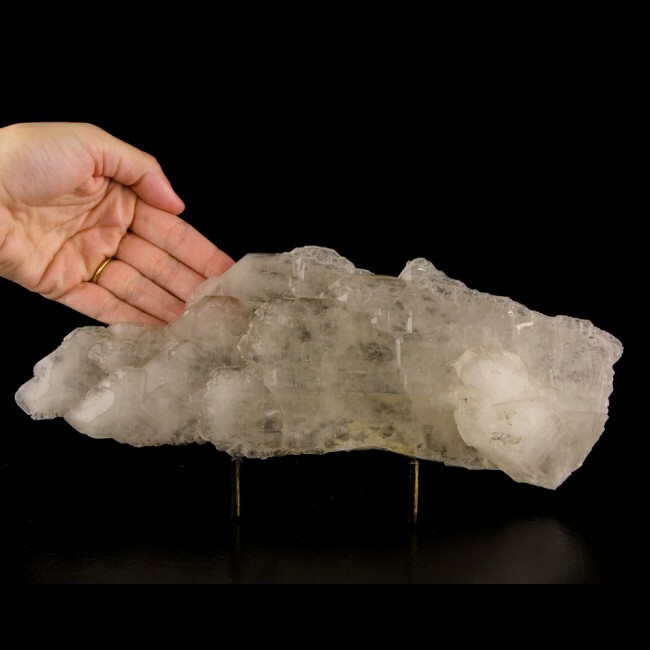 Elestial quartz is defined as quartz that has smaller crystals that have grown as the top surface of the rhombohedral faces of a much larger crystal. 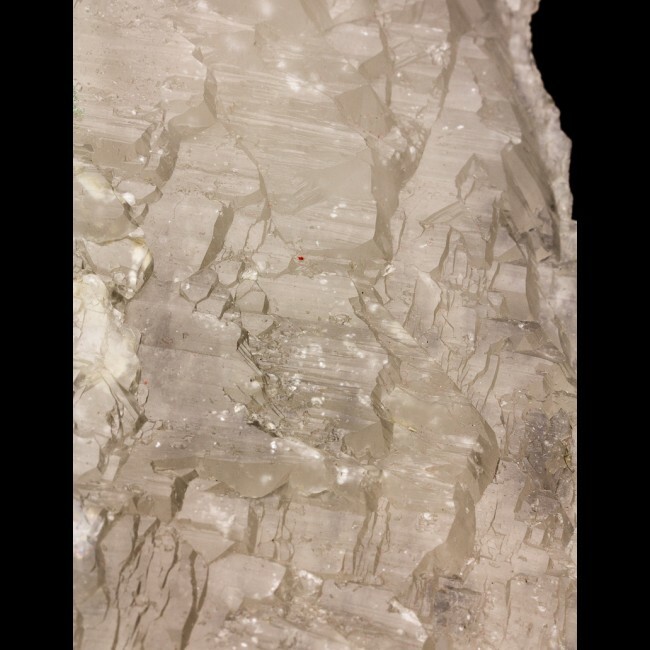 Because these smaller crystals are part of the crystal lattice of the bigger crystal, their rhombohedral faces are all in a perfectly parallel orientation. This pattern is not caused by natural etching of a crystal; it is an overgrowth.